The 2017 Tree of Remembrance service. Tree of Remembrance which is set to be retired. What first began as a family’s way of remembering their loved one when entering into the holiday season has now transformed into a community tradition of celebrating the memory of all those who have passed. 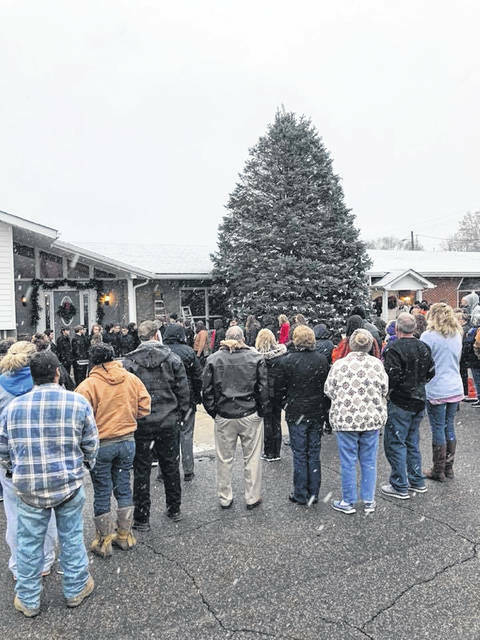 In 1993 after their beloved father and grandfather died, the Davis family reluctantly chose to carry on their family Christmas tradition of lighting a tree with candles, and decided to place a special candle onto the tree in his memory and made its placement the center of their celebration. Since incorporating their lost loved one into their own celebration, the Davis family felt that the same type of celebration would help the families they serve during the often difficult transition into the holidays. “It was something to help us because we were struggling when we lost Dad, we didn’t know what we were going to do during the holidays. It really helped us, and we wanted to help other people. We found something that worked for us and we wanted to give it to the community,” said Scott Davis. 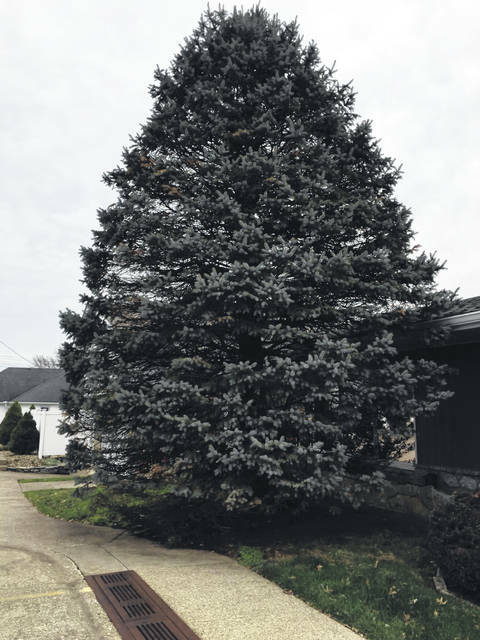 The Davis’ decided the tree in front of their funeral home, Roger W. Davis in West Portsmouth, would be perfect to adorn in memory of loved ones, but chose to incorporate the names of those who have passed on bows to be placed on the tree instead of candles. The family decided to hold a service of remembrance in the hopes that being around friends and family would ease the grieving process. The first Tree of Remembrance Memorial Service was held in December of 1994, and all those who attended received an angel ornament for their own tree to celebrate the lives of their own angels. To conclude the service the Davis family together lit the tree and left it illuminated until New Year’s Day in memory of every name placed on its branches. 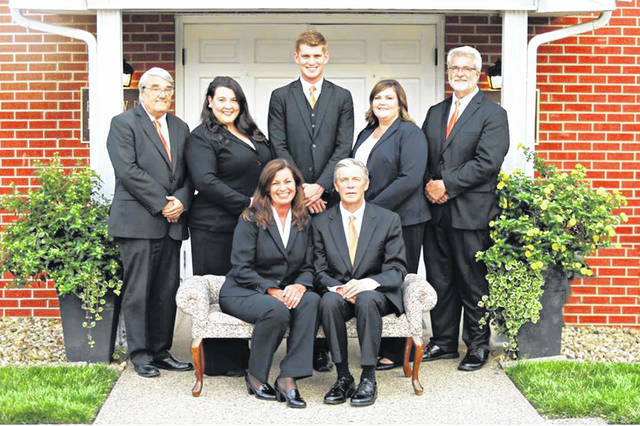 Now, with the 25th Annual Tree of Remembrance Memorial Service just around the corner, the Davis family is preparing to retire the faithful tree. Davis said a memorial will be placed in the spot where the tree now stands, and the new tree will take over the duty this year of holding all those handmade bows with the names of loved ones. In the years since the first service, the tradition has grown to have many faithful participants, and volunteers that lend their time to make the evening special, from those who help distribute ornaments to the fire department who graciously lend their services to allow the family to decorate the tree. “People bring in cookies, food, we have coffee and hot chocolate set up and a lot of ladies from the community set up and volunteer to pass out bows and angels. It’s a big community event,” said Davis. According to the family between 300 and 500 people are in attendance each year, and even bad weather won’t deter the crowd from showing up to take part in the service and write their loved ones name on a bow. Davis stresses that the service is not just for those who have been buried with Roger W. Davis, but for anyone who has lost a loved one and wants to join in to pay respects to their memory. Prior to the tree lighting, four candles are lit during the memorial service, each by religious leaders of different denominations. One for grief, one for courage, one for memories, and a last for love. Another staple of the ceremony is a performance by the Portsmouth West Chorus, who has played a part in the ceremony since its inception. This year’s service will take place on December 8, and will welcome families to hang a bow on the tree from 3-4 p.m., with the memorial service beginning at 4 p.m.